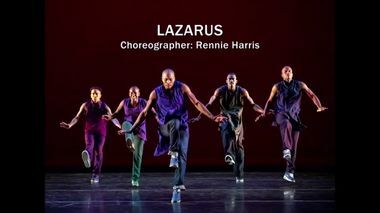 Acclaimed hip-hop choreographer Rennie (Lorenzo) Harris returns to Ailey this season with the Company’s first two-act work, Lazarus. 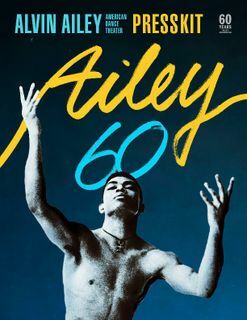 Inspired by the life and legacy of Mr. Ailey, Harris connects past and present in a powerful work that addresses the racial inequities America faced when Mr. Ailey founded this company in 1958 and still faces today. 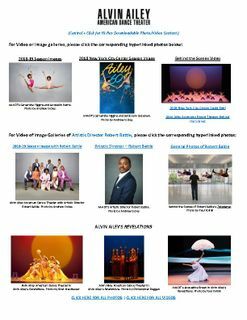 Harris’ previous contributions to the Ailey repertory include Exodus (2015), Home (2011), and Love Stories (2004), an acclaimed collaboration with Judith Jamison and Robert Battle. After dance pioneer Alvin Ailey died in 1989, the future of the Alvin Ailey American Dance Theater was uncertain. It's difficult to keep a dance company profitable after its founder is long gone - many have tried and failed. But 30 years later, the group is thriving, and decided to celebrate its 60th anniversary and founder by commissioning a new work titled Lazarus. 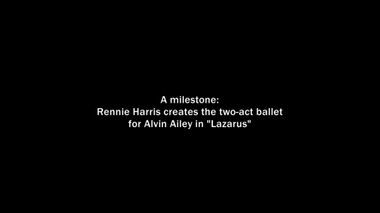 Philadelphia choreographer Rennie Harris was given an enormous assignment when he was asked to make a piece honoring Alvin Ailey (the man) for Alvin Ailey American Dance Theater's 60th anniversary. But what Harris made was a masterpiece. Lazarus had its Philadelphia premiere Thursday night at the Academy of Music. Choreographer Rennie Harris, international pioneer of street dance theater, isn't big on accepting praise. He might have to learn. 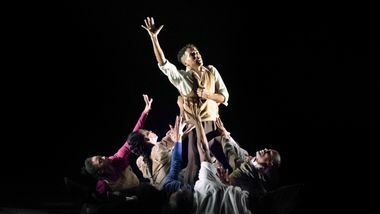 Harris' latest work, Lazarus, his fourth and most recent commission for Alvin Ailey American Dance Theater, has elicited unprecedented adulation from eminent dance critics. The piece commemorates the Alvin Ailey troupe's 60 years. 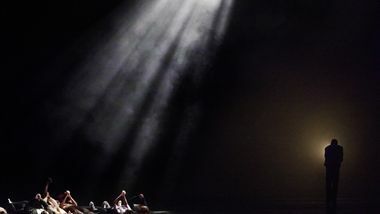 It makes its Philadelphia debut Friday night and Saturday afternoon at the Academy of Music, along with Ailey's iconic Revelations.